Hey avid readers, I just wanted to let you know I have started the migration over to Blogspot. I’ll keep this blog open, and post the same things I post on the other blog, but I also wanted to let you know the reason for the migration. Blogger allows me to do much more with my blog, and integrates well with my Google Checkout Shop. I love WordPress, and plan on keeping this blog active, but just wanted the opportunity to reach more readers. I love blogging. So are you Twittering yet? Twitter is one of the newest and fastest fads in social networking, the quickest and easiest way to follow and stay in touch with friends, family, co-workers, and just plain interesting people through the power of what you’re doing updates! I recently joined Twitter this past week, and have already met some great new people on the handmade website ETSY that I sell on as well as Natural Amber Designs, that I may have never ran into. 1. Keep up with all your friends, family, and co-workers. 2. Market your craft, your store, and your services. Embrace the power of social networking. You may never know what you are missing out on unless you try it. Love the necklace above? 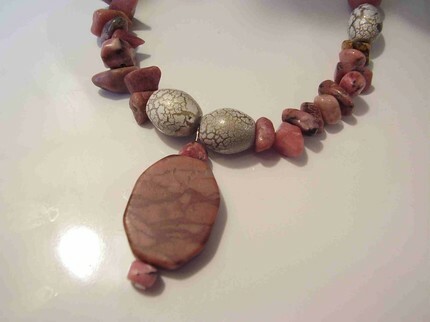 Come see the Pink and Marble Necklace in my on-line jewelry store! Remember the reason you wanted to have your own business? Many of us fell in love with an idea, a project, a craft and wanted so badly to one day have our own business, be our own boss, do what brings us happiness everyday, while bringing others happiness as well. Then there are those times, that many of us come too, where our visions of a happy successful small business become everything in our life, and then the balance becomes close to being non-existent. Yes, we all want to be successful small business owners, but it is okay to take a step back and take a day off. Yes, a whole day off. I know that this can be hard for many small business owners, because I am one of them. I am so afraid all the time that I am not doing enough for my small jewelry business Natural Amber Designs, but there are times I work two weeks in a row without a day off. Working like this is not healthy for either you or your small business, everyone needstime away from the frustrations of lacking sales, or ignored marketing, and everyone needs time to inspire new ideas and cultivate them in their head. Don’t think as this as a bad thing, it really is a great way to rejuvenate yourself, your ideas, and your peace of mind. Dive back in refreshed and taking on new ideas —- and improving past ones. Try to remember taking time away is not a bad thing. You want to remain passionate about your business, working everyday can lead to burn out and folding. 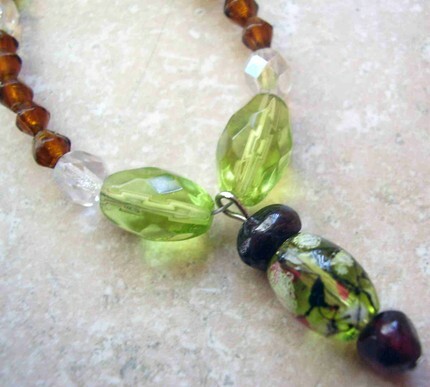 Love the necklace above, please come see the Green Crystal Drop Necklace in my store! So as a jewelry artist, what can you do to simplify the process of coming up with a business name you love? Four simple tips: Brainstorming, Research, Advice, and Final Brainstorming. 1. Get Out Your Pen and Paper and Brainstorm. This is one of the best and easiest ways to start coming up with ideas. Remember those good times from school when they said draw a table, draw a diagram, and just start filling it in with ideas? Find words that you feel describe your business, what materials do you use, what kind of jewelry do you make? Take those words and a Thesaurus and start finding words that are the same as what you said that you like too. Abandon the brainstorming and come back to it in a few days. What words really stick out to you? What words sound good combined? Come up with at least three names, I recommend five that you like. 2. Research The Names You like. At this point I would take those names you came up with and start looking to make sure they are not already taken. Look on government websites, look on state websites, look up trade names and licensed name, Google it. If it looks safe its a keeper, if its in use legally ditch it. 3. Get Advice From Family and Friends. Pitch the names you have remaining to your friends and family and get their input. Ask them questions like, “Which one is more appealing?”, “With this name do you have a guess on what I am selling?”, “Does the name fit the product?” “What names do you like?” Narrow down the list from there, take the new ideas they have given to you and research them as well. 4. Picking Your Name, Final Brainstorming. Now you have been sitting on these names for more then a week, and chances are there is one you like more then the others. Why? Is it suitable for you, does it describe your business, is it a name that can stand the test of time or is it more of a fad? If you like it, keep it. At this time point I would get a domain name in your name, and if you really like ti start considering the steps of registering it legally so no one can come under you and steal it. Remember picking out a name is suppose to be fun, and help you get noticed in the world. Go brand yourself! Love my best selling earrings above? 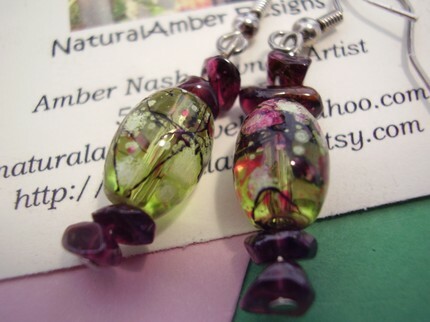 Come see the Floral Lantern Earrings. It’s no surprise, from my past review on the Home Jewelry Business Success Blog, you know I am a huge fan of Rena Klingenberg’s website. I think it is such a wonderful, resourceful website and I owe so much of my success to her wonderful and informative blog. Who would of known that by stumbling on her website I would become inspired to start a jewelry business of my own. 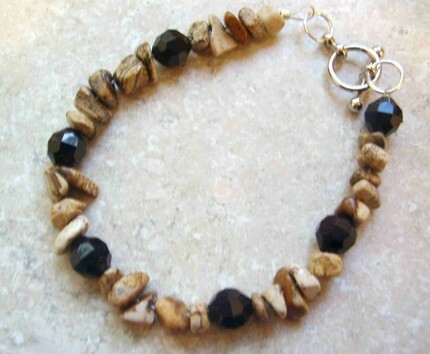 Before it seemed so out of my reach, but with her step by step articles covering a wide array of tips, I felt fully prepared to start my own home jewelry business NaturalAmberDesigns. As I have said before I highly recommend taking a peek into her blog if you truly a serious about making a jewelry hobby into a small business. 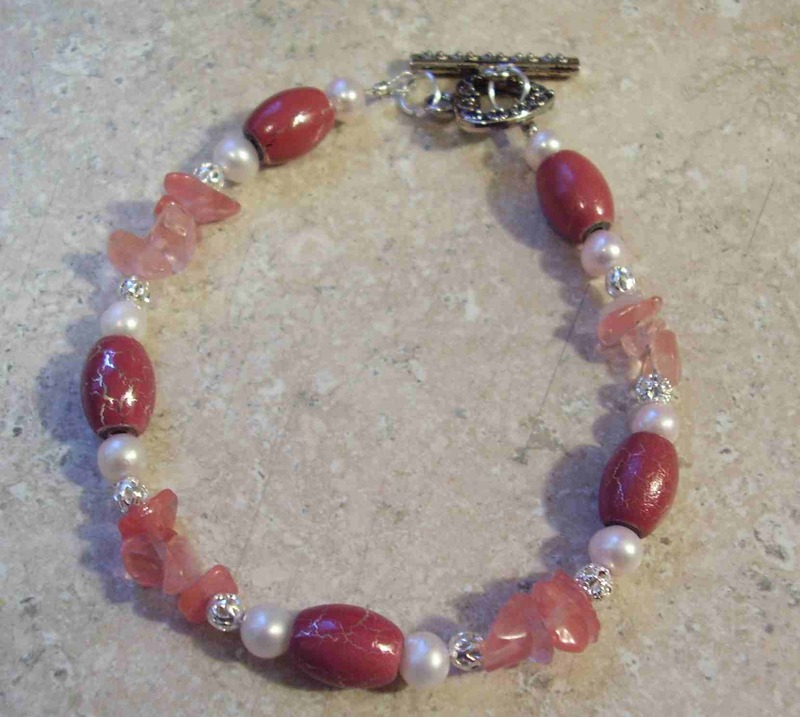 I am very thrilled to share with you my newest tip that has been added to the Home Jewelry Business Success Blog, please come read my article about Custom Jewelry. 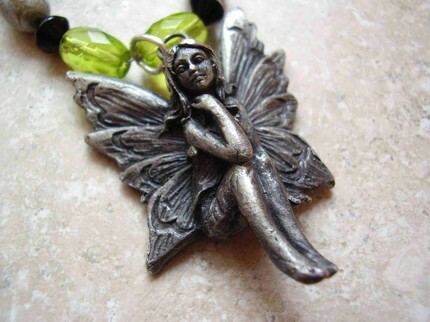 I was very excited to learn she even added a link to my Bead Chest on my website! Love the Autumn Wrap above? Please come see it in my ETSY store here. Handmade jewelry is one of the largest categories artists go into, but with the economy struggling, consumers afraid to let go of their dollars, how as a jewelry designer do you stay motivated? 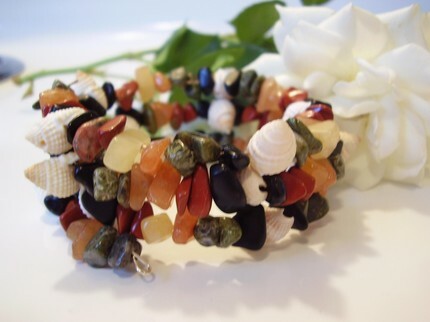 Being new to the on-line scene I have days where I feel that it may not be my time to reach out beyond my local buyers, and then there are days, especially after receiving a sale that I know I am doing the next big and smart step in my handmade jewelry shop, NaturalAmber Designs. So how do I stay motivated? What do I do to make my shop stand out in this highly competitive market? 1. I add pieces to my shop daily. If I don’t add, I relist items in my ETSY shop and I have been building a Google Base as well. 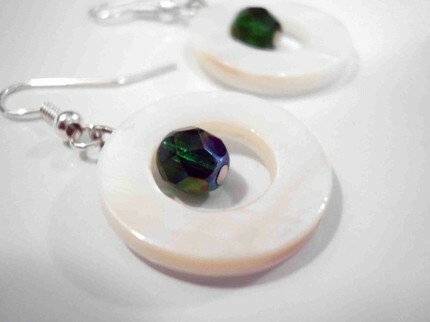 It’s especially important on ETSY to relist and renew at different times of the day since it is an international site. Listing late at night will reach to those customers across the seas. 2. Blog Daily. The more I blog, the more I stay motivated about what I love to do. I love making jewelry, I love sharing with other artists information that has helped me be successful, and it keeps me motivated and focused on my goals and why I love what I am doing. 3. Craft. Nothing can bring back the motivation like sitting down in front of your bead chest and bringing back the memories on why you started this adventure. I like sitting down and remembering the moment I told myself, I can make this bigger then a hobby. 4. Always Marketing Yourself and Your Goods. This step is crucial, and sometimes it may feel like you are doing this alot, but buyers can’t see your beautiful jewelry unless you show them it’s there. Experiment with AdWords from Google, Drop your blog link everywhere, build your own website. Building my website NaturalAmberDesigns has been very rewarding, and really makes me feel like I can do this. Don’t be afraid to pass out your business cards to someone new, or post them on a local grocery stores board. Remember to stay focused on why you are doing this for yourself. It is hard to stay motivated during tough times, but things will bounce back. Just keep letting people know you are there. They will find you.